Kahuna Bar and Grill is a Florida beach bar located in Deerfield Beach. Discover this great Florida beach bar. Hours: Noon to 2:00 a.m.
A cute little beach bar across the street from the ocean is often the most exciting place to be in Deerfield Beach. It is called Kahuna Bar and Grill. The music is loud and lively. This is a popular Florida beach bar where everyone is dancing and having a good time. 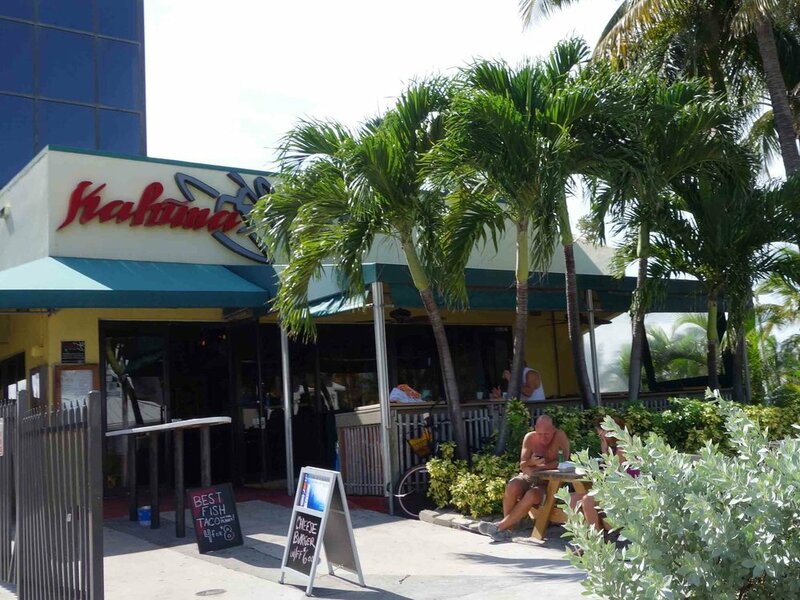 Kahuna, located across the street from Deerfield Beach, is one of several Florida beach bars in the area. When we were there, this was the hot spot. But other Florida beach bars are close by. This is a great place to start or end a little Florida beach bar hopping tour. It's always nice to park the car once and walk around and catch the ocean views and a few other great places. This Florida beach bar is not on the Atlantic Ocean side of the street, but they sure know how to party there. Don't miss Kahuna Bar and Grill when you are in Deerfield Beach. Fun, lively and youthful.